Josie Joan's beautiful and unique hair clips encompass a range of heritage prints. A wonderful accessory to any child's outfit, type of locks (from straight to curly), and even the color of their hair! The clips are made from the timeless snap clip, creating an ease for what isn't always a simple task. 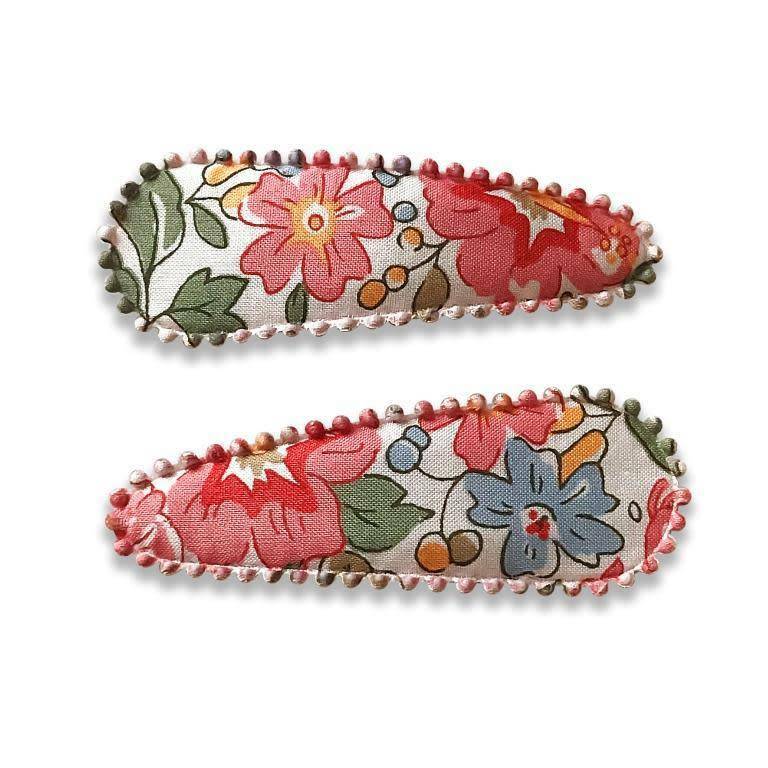 Handmade from the finest quality 100% Liberty of London tana lawn cotton, these wonderfully whimsical hair clips have a petite scalloped edge and can tame even the wildest locks, while looking stylish and cute at the same time. Each metal hair clip is 5 cm in length. 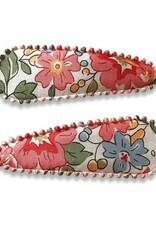 The underside of the clip has a soft felt backing, color-coded to match the Liberty print fabric on the front. And the hair clips come as a set of two (2) in adorable, compact packaging.